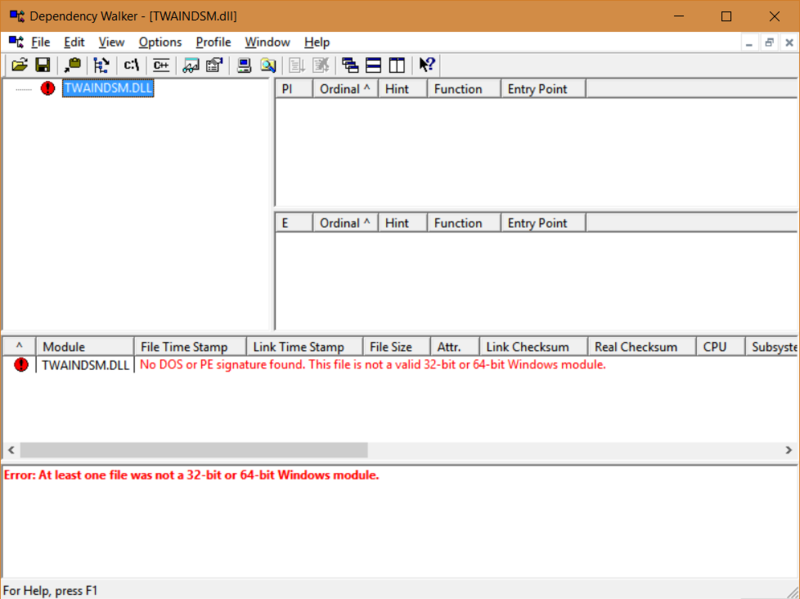 Forums › TWAIN Direct › How to install twainDSM.dll? This topic contains 5 replies, has 3 voices, and was last updated by Shlomi 1 year, 1 month ago. It includes twaindsm.dll for 32 and 64 and twaindsm32.msm and twaindsm64.dll. But there is no msi file and therefore no way to install. Also, should the choice of 64 or 32 depend on the computer architecture or the targeted driver? On a computer recently upgraded to Windows 10 our application hangs when accessing twain interface. This happened ever since the upgrade. We’re thinking that installing a new DSM might help. Any thoughts on this issue would also be helpful. We’ve been days with no clear sense of the cause of the problem. Please provide installation instructions for manual installation. Did you find how to set it up? I wrote a .net application to use Twain DSM. All I had to do was copy the twaindsm.dll in the bin/debug or bin/release folder and it worked fine. I have not found anything with actual instructions to install or use this. I’m leaving this near the start of a search for how to use or install it. the “copy it somewhere” doesn’t work and I’d not expect it to work w/o the dll being registered. There is an additional file I am not familiar with which I’ll examine for clues. Several sites which I hit, which use twain, say to go to twain.org for the file and installation instructions. This question is the only search engine hit for that subject. I’ll try to update this with what I find. Also is there a source for building twain DS and DSM? or are they closed source proprietary components? I’d like to have sources and control of as much as I use as possible. I did as Shekharsh did; simply pasted twaindsm.dll into my bin/debug and bin/release folders. Worked a treat. Both 32 and 64 bit, on all current releases (2.4.x). Reply To: How to install twainDSM.dll?